Are you ready for a Quidditch match? This deluxe set of Gryffindor quidditch robes is officially licensed and based on the ones used in the Harry Potter films. 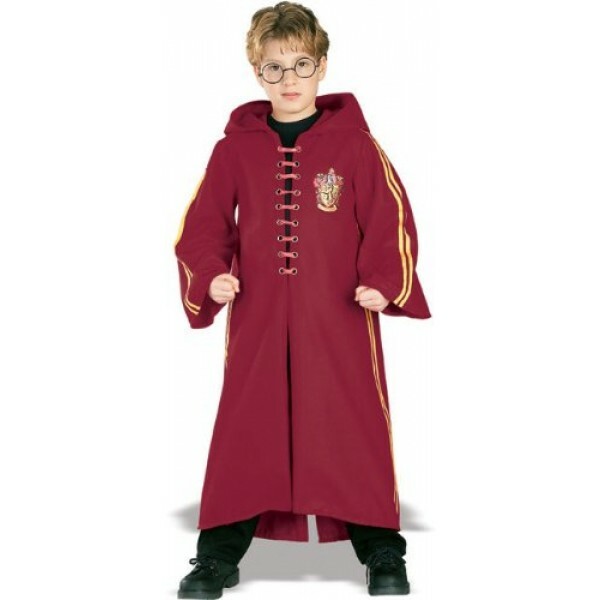 The crimson robe includes an attached hood, yellow side stripes, and a Gryffindor crest. This size fits approximately kids' sizes 8 to 10; there is also a set to fit size 4 to 6 and size 12 to 14.